Ward No. 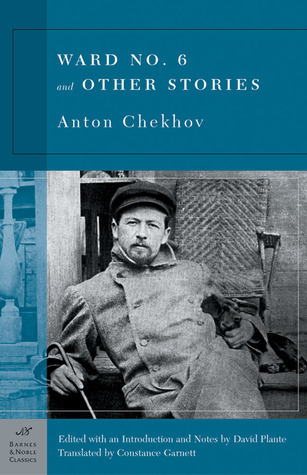 6 and Other Stories, by Anton Chekhov, is part of the Barnes & Noble Classics (1899), as well as several lesser-known works, no less masterful in their composition. David Plante is a Professor of Writing at Columbia University. He is the author of many novels, including The Ghost of Henry James, The Family (nominated for the National Book Award), and The Woods Ward No. 6 and Other Stories, by Anton Chekhov, is part of the Barnes & Noble Classics (1899), as well as several lesser-known works, no less masterful in their composition. David Plante is a Professor of Writing at Columbia University. He is the author of many novels, including The Ghost of Henry James, The Family (nominated for the National Book Award), and The Woods. He has been a contributor to The New Yorker, Esquire, and Vogue, and a reviewer and features writer for the New York Times Book Review. The cook's wedding -- The witch -- A dead body -- Easter Eve -- On the road -- The dependents -- Grisha -- The kiss -- Typhus -- The pipe -- The princess -- Neighbours -- The grasshopper -- In exile -- Ward No. 6 -- Rothschild's fiddle -- The student -- The darling -- A doctor's visit -- Gooseberries -- The Lady with the dog -- In the ravine -- The bishop.